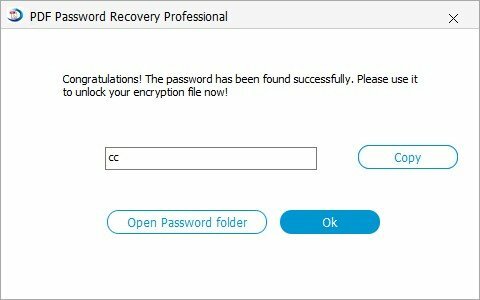 How to Use PDF Password Recovery? 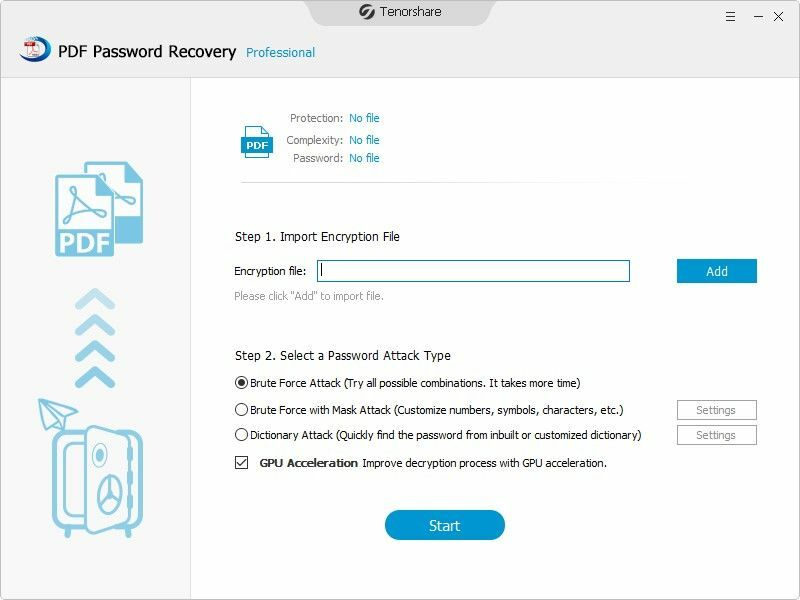 PDF Password Recovery is designed for Windows users to remove PDF user password that restricts the opening of a PDF file and bypass the security on a PDF file that prevents you from opening, printing, or changing the PDF file. 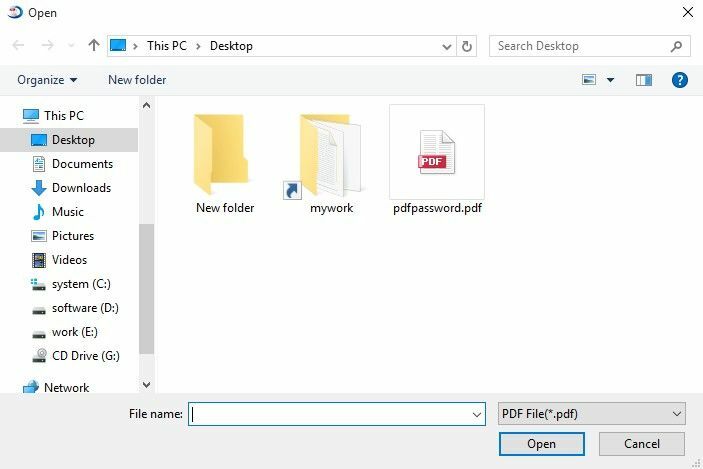 Following is the step-by-step guide of how to use PDF Password Recovery to recover PDF user password and PDF permission password. Download, install and launch PDF Password Recovery, and you will get the interface as below. Click "Add" to navigate the folder containing the encrypted PDF file and import it to this program. 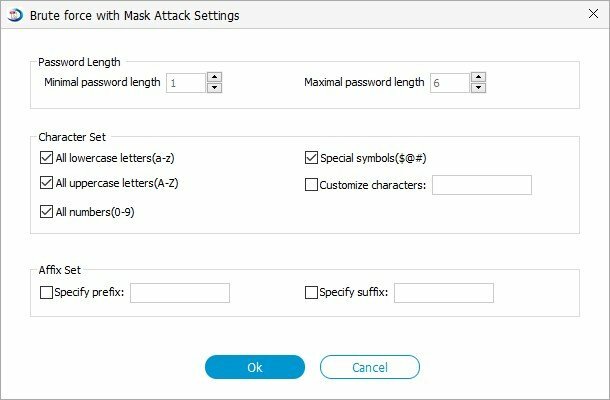 Select one of attack types according to the clues about the password that you can provide now. Select "Brute-force Attack" if you have no clues about your forgotten PDF passwords. This type of attack will try all possible combinations, and you don't need to define any setting. Or select "Brute-force with Mask Attack" when you remember a part of passwords. For example if you remember that length of your password was 5 characters and password begins from "A", you can define both minimal password length and maximal password as "5" and set "specify prefix as "A". Or select "Dictionary Attack" if you have a dictionary which is just a Unicode text file with one word at a line; lines are separated with line breaks. This program features a default dictionary, and you can create a dictionary by listing your character sets that you frequently use. A Dictionary Attack is much faster than the other two so we recommend running it first. It is optional for you to tick "Shutdown computer automatically after finish cracking". Then you can click "Start" to initiate the PDF decryption. After a while, a window pops up and displays the open password. You can copy this open password, and click "Remove" to remove both open password and permission password directly. Now you can open, edit, copy, and print your PDF file freely. That's all for how to remove PDF password and restrictions with PDF Password Recovery. Just have a try!